Forrest Yoga is a dynamic, mindful, smartly sequenced practice that brings vitality deep into the core of the body, the mind, and the spirit. Poses are held to release internal obstacles, build strength and flexibility, and create space within. Classes require focus; they are a series of carefully constructed asanas and vinyasa designed to strip numbness from your core, help you breathe and move in ways that release emotional shielding, and prevent and heal injury. The room is heated to approximately 83 degrees in order to allow you to move deeply into your muscle tissues. For a brief summary article about Forrest Yoga, click here. 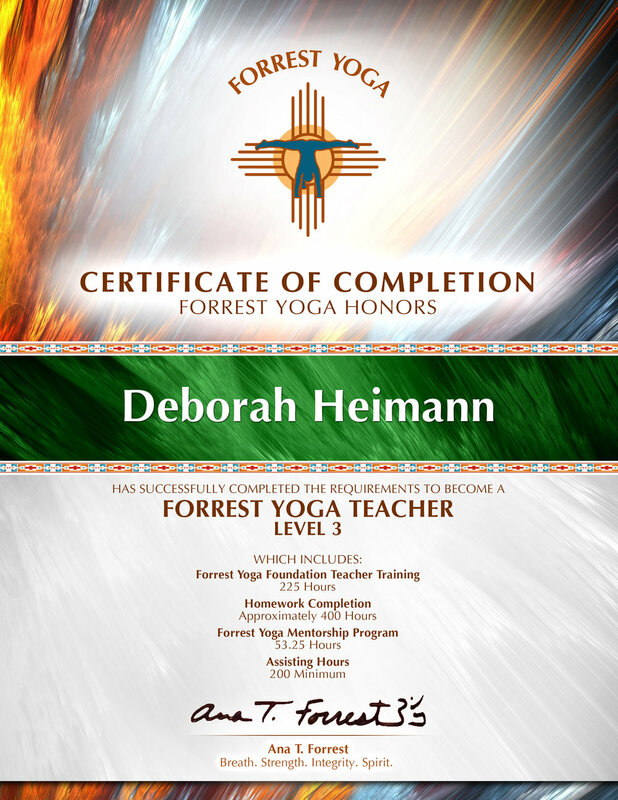 For more information, see the Forrest Yoga website.